Ground is broken for a new 500-foot wharf at Beckett Street Terminal. Two 25-ton whirly gantry cranes are purchased and steel coils begin to arrive at the port. The Port of Camden handles a record breaking 424,173 tons, including 152,742,777 board feet of lumber. The Beckett Street Terminal opens. 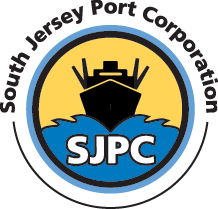 The South Jersey Port Commission begins operations.